DVD-Video discs are rapidly spreading these days. 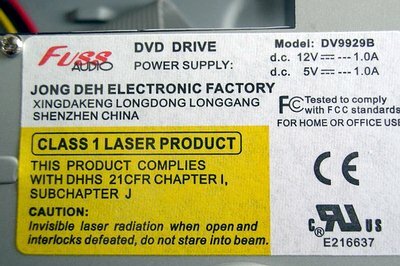 Equipment able to show high-quality images are getting popular quite fast, and prices for DVD players are falling down. The manufacturers are trying to attract users with new design, enhanced characteristics and new functions and capabilities. One of such new models will be tested today. 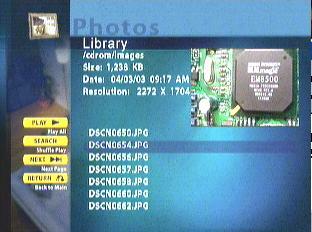 It is a universal DVD/MPEG4 player based on SigmaDesign 8500 chip. The player is made by Honk Kong company nReady Netware. 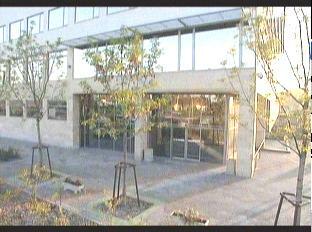 The firm make products under nReady and Technosonic trade marks. nReady MP-101, one of the first DVD players with MPEG4/DivX support has already hit the store shelves. The modern and stylish design leaves a pleasant impression. The silvery flat slim body is decorated with dark plastic in front with blue figures of the LED shining though it. The cover and chassis are metallic. 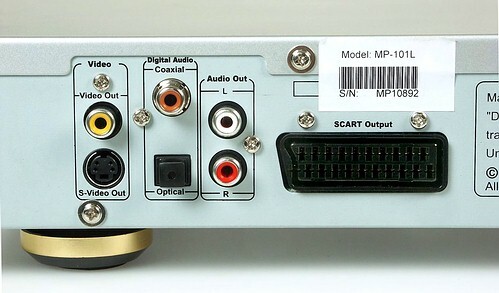 optical and coaxial S/PDIF digital-out (compatible with Dolby Digital 5.1 and DTS). 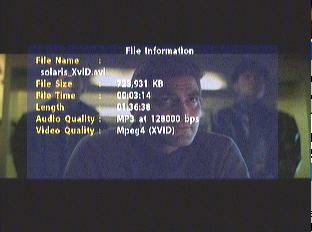 MPEG1, MPEG2, MPEG4, DivX and XviD. silvery body decorated with dark semitransparent plastic, with a 7-segment luminescent LED behind. The player ships in a modest white box with the model's name and most functions written on it. The box is not big, and it's equipped with a handle for transportation. Euro SCART with RGB signal. 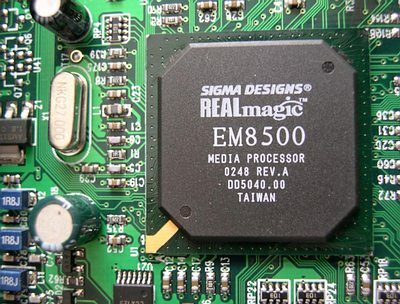 The mainboard carries REALmagic EM8500 processor from Sigma Designs which decodes a video signal, including MPEG4. DVD and MPEG4 images are of pretty good quality. 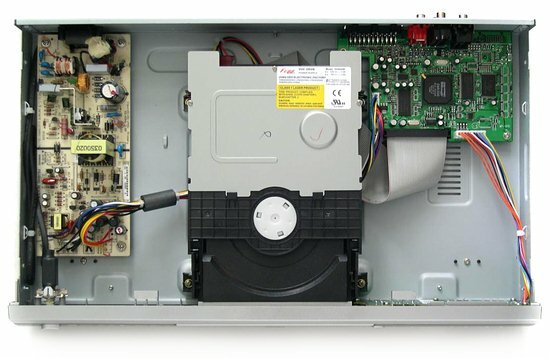 Fuss Audio DV 9929B DVD drive works noiselessly when playing discs and moving out the tray. During the test period the DVD worked perfectly. 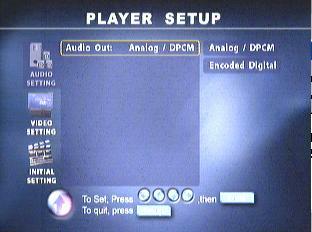 The player can be switched on with the Power button on the front panel and with the remote control. The first picture you can see on the screen is in blue colors. It doesn't strike the eye, especially with the light off. 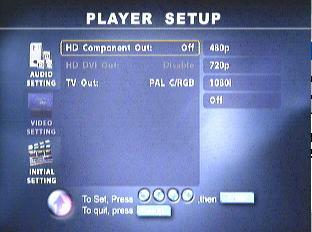 The player has a moderate but sufficient number of settings in the screen menu. The menu is quite convenient in use. 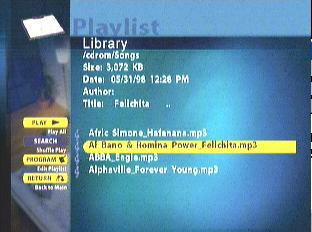 For Mpeg4, MP3, Jpeg CD discs the player shows a plain and comprehensive menu page. 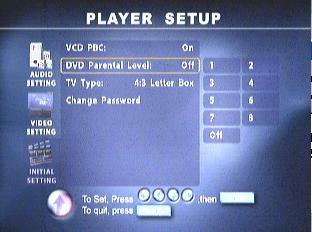 DVD-Video discs are played automatically. 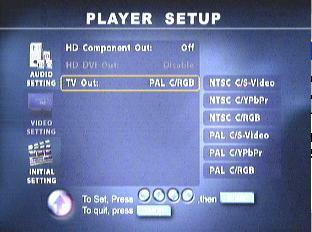 Technosonic MP-101 DVD player was connected with a SCART cable (not bundled) in RGB mode to an old Philips 28" TV-set. Sound was played with Lenoxx's home-theater acoustic system. 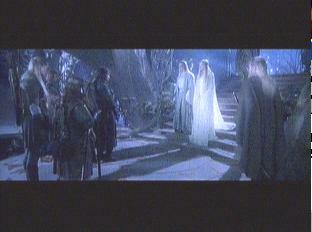 I liked how the player coped with The Lord of The Rings of the 5th zone with 5.1 sound. The player started it instantly without requesting its format and region. The image was sharp and stable. No artifacts or drop-outs. No problems with rewinding or pausing. You can rewind the disc at the speed of 8x, 16x, 32x and 48x. 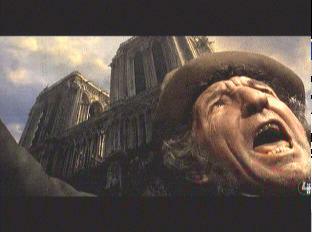 Images do not distort while the movie is rewinded. Colors weren't changed either. With DVD Movie "Brotherhood Of The Wolf" we tested how zoom works. When the image is fitted to TV screen (28"), its quality degrades, though it doesn't make negative impression. Pirated discs are played flawlessly as well. At the guiding price of $250, it can be considered a budget solution. Its characteristics and capabilities are comparable with good brand-name equipment. I specially compared Technosonic MP-101 and Pioneer DV454s but didn't notice much difference in image and sound quality. 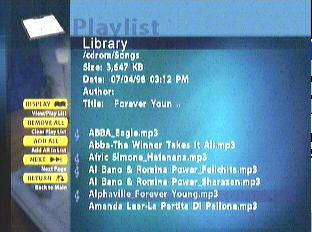 One of functions typical of all DVD players is MP3 files support. Technosonic MP- 101 reads all discs with files. 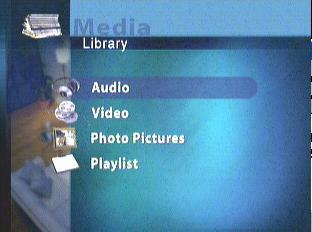 On loading a disc the player displays the following menu. Compositions are listed in the Audio section. Unfortunately, only 7 first compositions are displayed. You can then pick one by one or list them page by page. Also, you can search files by names or create a play list. But far not all character sets are supported. It's a common weak point of most players. I hope the future versions will do away with it. This playback mode has its advantages and disadvantages. MPEG4/DivX support is a plus. Unexpectedly, image quality of discs of DivX v4.02 and higher version is at the level of good on-air broadcasting. But what I didn't expect at all is the support of such exotic format as XviD. 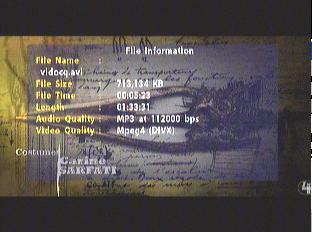 DivX 5.0 version brings quality much closer to normal DVD quality. The image can be gradually zoomed in and out either vertically or horizontally. 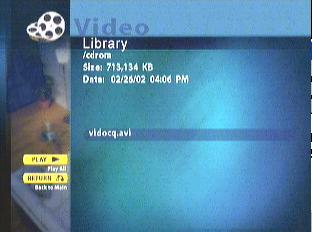 Unfortunately, the player does not support DivX 3.11, though today most MPEG4 movies are recorded exactly in this format. I hope that when DVD players supporting MPEG4 get more popular, manufacturers of CD media of this format will shift to codecs of new versions, and the problem will be solved. Jpeg viewing becomes more urgent as new technologies are developing. Digital photo cameras allowing users to create their own photo albums are getting more affordable these days. Isn't it great to be able to show your CD photo collection not only on a computer? 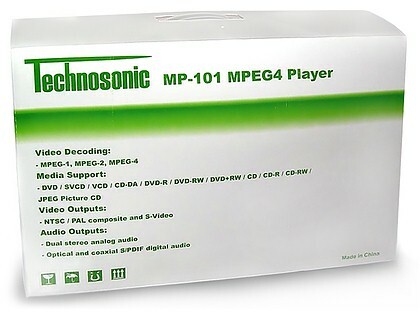 Technosonic MP-101 DVD player belongs to a new generation of DVD/MP3 players with MPEG4/DivX support. It sports a stylish design and is built on powerful multifunctional processor SigmaDesign EM8500. The menu of the player is praiseworthy, and the high-quality image even on large TV displays makes this player a very tempting purchase. 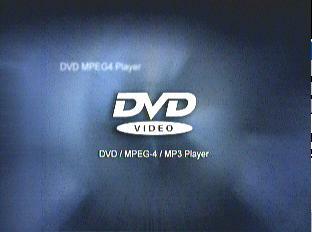 The weak point of this player, as well as of others on SigmaDesign's chip, is lack of support for MPEG4 movies encoded by a DivX codec lower than v.4.